Lightweight PP shell for protection. Foam padded backing for comfort. Hard shell with foam backing for added protection. 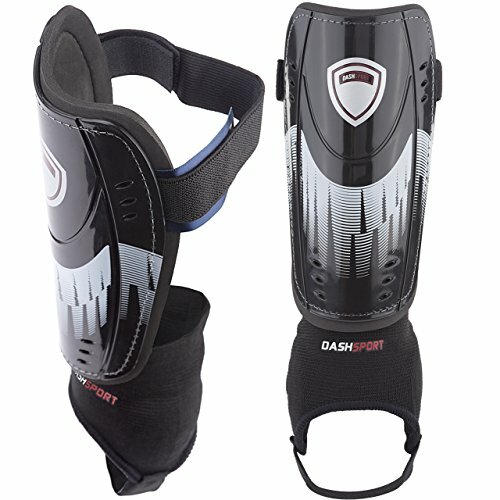 Soccer Shin Guards -Youth Sizes - by DashSport GUARDIAN Model features an Ankle Sleeve to give added protection to kids. For best sizing: Shin Guards should cover no more than 75% of the shin length. This provides protection while allowing for mobility and comfort. For player's SHIN SIZE measure from bottom edge of the kneecap down to the top of the foot. Please see all images for sizing guides and product dimensions as well. TimeBus goalkeeper gloves are the perfect choice to any goalkeeper for the next big game, or even just for a family kick in the back garden! 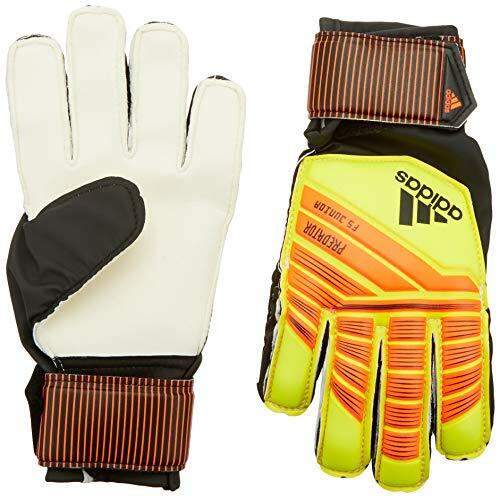 These goalkeeper gloves are ideal for any player looking for a sturdy, durable and reliable pair of goalie gloves that provide comfort and grip in one package. The goal keeper gloves are made with breathable material that can draw sweat away from the skin effectively and can ensure comfort, gripping and stability, making them a great addition to any keepers kit. Caring for the goalkeeping gloves is not difficult, with little more than a quick wipe with a damp cloth after use before allowing them to dry naturally. There is no need to use detergents, and the gloves should be stored away from direct heat sources and sunlight when not in use. So if you have very big or small hands for your size please adjust your choice to match. *One year guarantee from Timebus. *Your Satisfaction is our Highest Priority.Please feel free to contact us with any questions regarding our products and shipping. 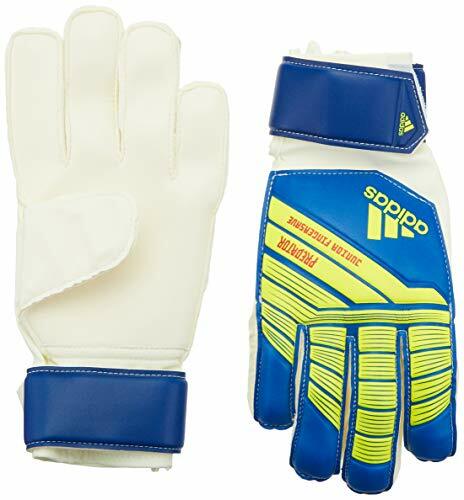 Add these goalkeeper gloves to your shopping cart by clicking the button at the top right of the page. 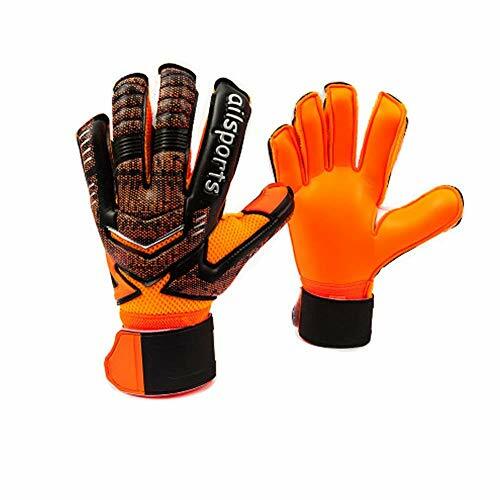 FOR THE TOUGHEST SAVES - These goalkeeper gloves have the anti-slip and wear-resistant latex palms which can give you the extremely strong control and grip when handling the ball even in wet conditions. Meanwhile, the unique positive cut design gives you the best ball-contact for the toughest saves in play. FINGER AND PALM PROTECTION - The new improved BACKBONE finger save system of these goalie gloves helps you prevent the Hyper-Extended finger injuries which frequently occur in competition or training and the extremely thick padded latex foam can offer more cushioning protections to your palm. DOUBLE WRIST SAFEGUARD - These soccer gloves have a double-designed wristband whose lining layer is elastic stuff and the outer is close-fitting velcro bandage with stretch-strap, so they can contract your wrist muscles better and offer more secure protection to reduce the sprained wrist risk. DURABLE & COMFORTABLE - Being made from high quality composite materials of EVA and latex, these gloves are so strong that they are hard to splitted whether in fierce competition or in routine training. In addition, the gloves are breathable, lightweight, sweat reducing and very comfortable. 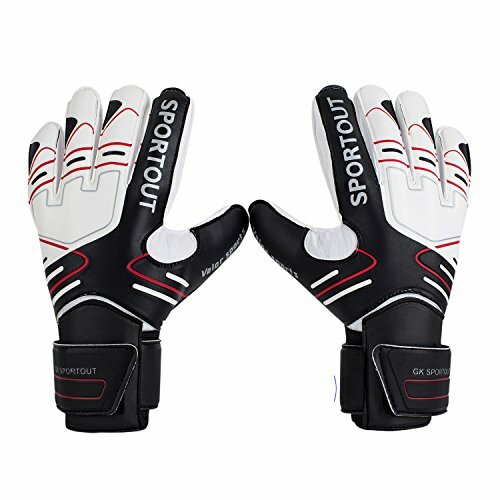 APPLICATION & GUARANTEE - These perfect goalkeeper gloves are suitable for the people from junior trainees to high school, all the way to adult soccer whether in training or match play. GUARANTEE - 100% Money Back Guarantee, if there is any problem with the product, you can feel free to contact us, we will offer you money back. The adidas Performance Ghost Youth Shin Guards are engineered to the needs of young players. They feature highly protective front plates, single front closures plus attached ankle guards for adjustable guard width and ankle protection as well as EVA backing for high comfort and durable cushioning. Designed for Youth Soccer Player Protection for Training or Match Use. Are you usually worry about your kids getting hurt from their loving soccer games? Do you want to own something to protect your carf and patella during soccer games? 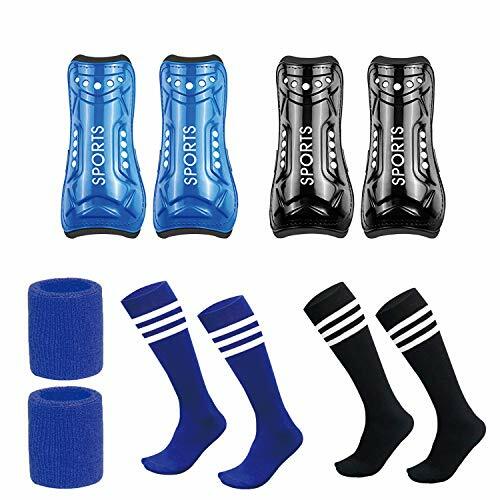 GeekSport Soccer set comes with 1 pair soccer shin pad and 1 pair over knee sock. It is an ideal combination soccer set for kids / child during soccer and other sports. 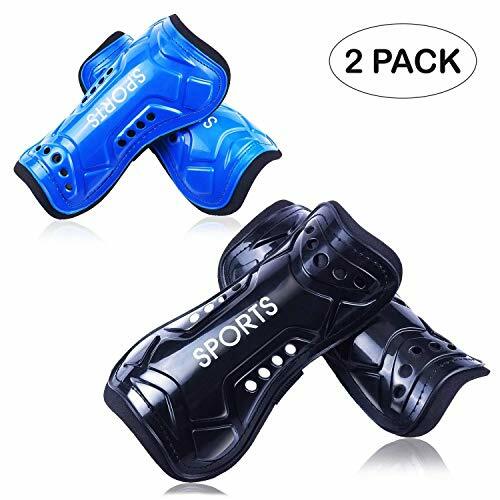 GeekSport soccer shin pad, designed with a lightwieght reinforced shell, it has high performance of impact resistant to help gaurd against the impact force of the soccer game. GeekSport over knee sock, made of polyester fiber, designed with 2 strips at the top, fashion and easy to match for your daily wearing.super soft and breathable, comfortable to wear and effectively prevents socks sliding from your legs. Measure Height or Shin Length from below kneecap to top of foot. If the information is unknow, use Age to determin size. Three Best Sizes & Adjustable Elastic Velcro Straps - S: 8.5*14.5cm - suit for age 3~5yrs; M: 9.5*17cm - sute for age 4-8yrs; L: 10*19cm sute for age 8-15yrs. The shin board crafted with a durable & flexible band, easy adjust the size flexibly to get a comfortable fit; the child soccer pads are more stable for long time wearing, is nice and safe for kids to do training and soccer games. Easy to use - just cover your shin with this pad and put on your socks. High Protection & Comfortable - The powerful soccer training shin guards are created with high strength PP shell, which helps reducing impact on leg bones and muscle effectively; the soccer shin guards' EVA backing for high comfort and durable cushioning. 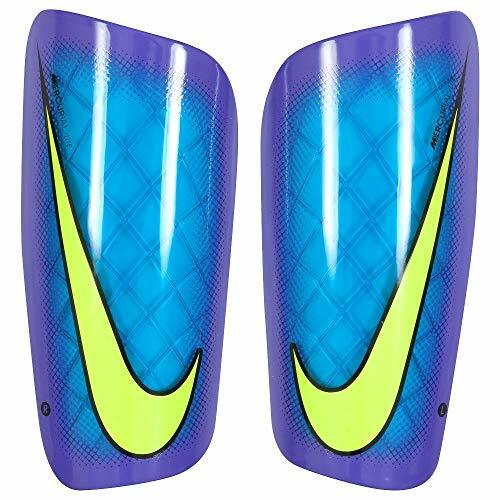 GeekSport Youth Soccer Shin Guards have the highly protective hard front plates which are lightweight, durable and can offer the shin & calf comprehensive protection to against impacts. Perfect Match with Cotton Football Socks - Socks made by 95% cotton and 5% natural latex rubber, good elasticity for improved fit. When a child is playing football, the socks can be used with the shin guards. FDA Certified and 100% Satisfaction - FDA certified GeekSport Soccer Shin Guards, 60 Days Money Back Guarantee & 1 year warranty ,any quality issues about the Soccer Shin Guards please contact us to get a replacement or refund. We cannot guarantee our current special pricing, so be sure to Click Buy Now! Improved design with perforated neoprene for drainage during mud races, more precise sizing, and a repositioned zipper for comfort. RockGuard Shin protectors are designed for rope climbs, deadlifts, cleans, snatches, box-jumps anything that punishes your shins. Tall socks can only go so far our specially designed RockGuards are made from 5mm perforated neoprene bonded to a durable outer layer. Slide them on-and-off easily before your WOD and lift with confidence. They drain and dry quickly, making them perfect for Obstacle Course Racing. Say goodbye to injured shins. Lightweight, breathable protection. - Built Tough Our new, 3rd generation RockGuards are made with durable 5mm perforated neoprene on the shin-side and a lightweight, breathable stretch synthetic on the back for easy on-off during your workout. - Not Just the Gym RockGuards are absolutely fantastic for a variety of collision sports including mountain biking, obstacle course racing, and trail-running. They even drain easily when wet! - Bleeding Isn t Cool We love to hit it hard in the gym but don t forget what you re around. Staph infections can plague gym-goers. Stop grinding your shins up and stay safe. 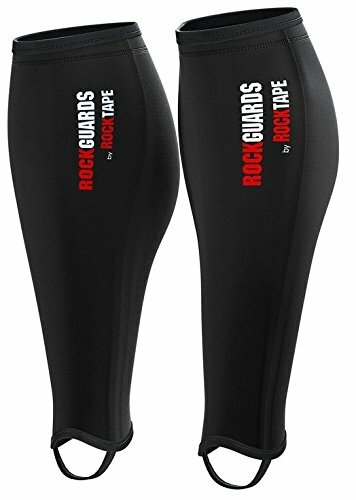 PROTECTION FROM ROPE CLIMBS AND BOX JUMPS - RockGuards are designed to protect your shins during rope climbs, deadlifts, cleans, snatches, box jumps - anything that punishes your shins! 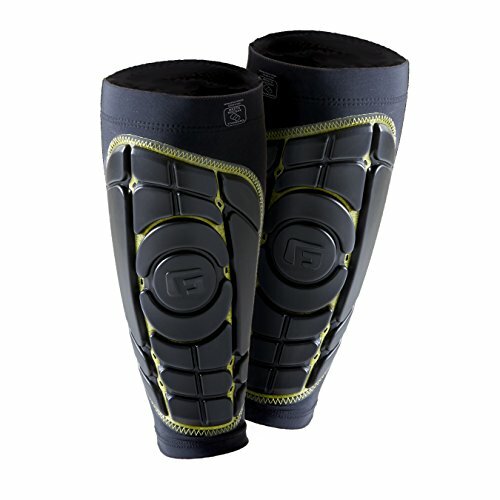 DURABLE SHIN GUARD - 3rd generation RockGuards are made with strong and protective 5mm neoprene bonded to a 4-way-stretch synthetic backing to keep you protected and comfortable. STAYS IN PLACE - Organically designed to conform and move with your body, with a silicone bead to keep RockGuards from slipping and sliding during use. DRAINS & DRIES FAST - A mesh back and perforated neoprene front means you stay comfortable and dry. Perfecr for Obstacle Course Racing! PERFORM YOUR BEST - Don't stop training because of an injury or staph infection (they happen in the gym) - protect yourself before injury strikes! Attack to win knowing you're protected with these soccer shin guards. A separate front plate enhances fit, while a snug compression sleeve holds the guard securely in place without bulk. G-Form Pro-S Elite shin guards are a revolution in lightweight, protective soccer gear. Constructed with G-Form's very own Reactive Protection Technology (RPT), they provide a world class combination of impact protection, comfort and performance, all while remaining lighter, more flexible and user friendly. Sold in Pairs. EASY CARE: Machine Washable - take them off and throw them in the wash after every use. About the size: please Check the picture to choose your size. If you have very big or small hands for your size please adjust your choice to match. Some goaler prefer gloves a little larger than they need,giving them a larger surface area to stop the ball without sacrificing control. In generally, though Goalkeeper gloves can be washed by water,BUT IT REQUIRE GOALKEEPER FORMULA REMOVES DIRT FROM THE LATEX PALM OF GOALKEEPING GLOVES WITHOUT DAMAGING THEM, HELPS YOUR GLOVES LASTLONGER; if the glove is dirty, there is no cleaning systems, it is recommended keeper to use soft bristled tooth brush, dip soap powder, moist gently Brush dirty, then Works in wet and dry conditions, store your gloves as flat as possible, do not fold or squeeze. Do not place latex sides up against each other. The gloves should be stored away from direct heat sources and sunlight when not in use. We are committed to offer the best customer experience, If youare not 100% satisfied with you gloves for any reason, we'll replace them orissued a refund within 30 days hassle free. What are you waiting for? CLICK THE "ADD TO CART" BUTTON NOW! !It belongs to you now! 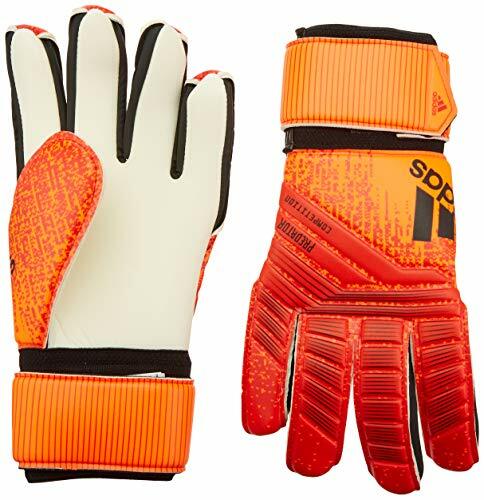 The Predator junior goalie glove is an excellent glove for beginners and youth players with a good mix of grip, fit, durability, softness and shock absorption. LIITA Soccer set comes with 2 pair soccer shin pad ,2 pair over knee sock AND1 pair Wicking Athletic Cotton Wristband. It is an ideal combination soccer set for kids / child during soccer and other sports. LIITA soccer shin pad, designed with a lightwieght reinforced shell, it has high performance of impact resistant to help gaurd against the impact force of the soccer game. LIITA over knee sock, made of polyester fiber, designed with 2 strips at the top, fashion and easy to match for your daily wearing.super soft and breathable, comfortable to wear and effectively prevents socks sliding from your legs. Ergonomic Streamline Design - LIITA Youth Soccer Shin Guards are shaped well to lower legs and won't pressure legs and the Shin guards do not shift while game playing, Adjustable Elastic Velcro Straps: crafted with two flexible bands, the child soccer pads are more stable for long time wearing.Great for teenagers, children, kids, boys, girls etc. 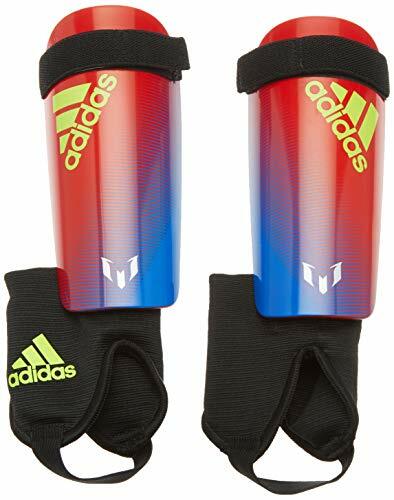 The soccer shin guards' EVA backing wearing comfort,softness moderate,high permeability,durable cushioning.And it have the highly protective hard front plates which are lightweight, durable and can offer the shin & calf comprehensive protection to against impacts. 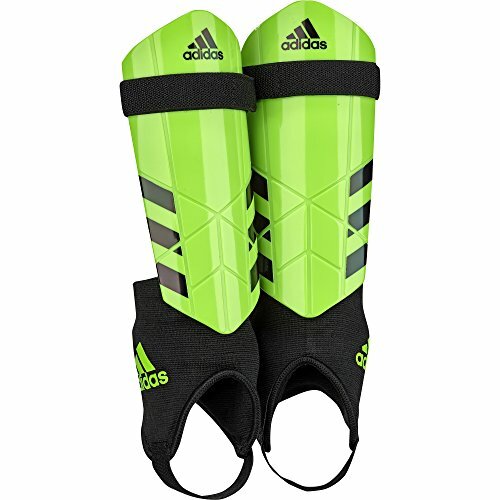 The elastic pp shell, foam padded backing and multiple breather holes design give these shin guards soccer light weight, high breathability, great fitting your leg shape and super comfort.Soccer Sock Material is a sports material, quick-drying type, relative to cotton does no pilling or fade, more wear-resistant.